Put down that smartphone and pick up a pen! Texting and e-mail have taken over our correspondence, but Karen Benke is ready to change that. 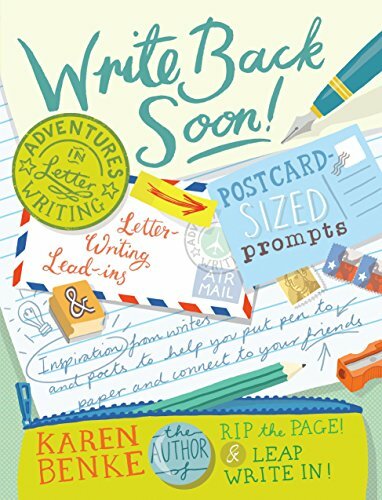 Through prompts that invite penning short postcard-size notes, ideas for sending cards "just because," and inspired letter-writing exercises, Pass That Note! offers limitless possibilities for connecting with your friends in more personal, unique, and creative ways. Use the book for its letter-writing ideas, tear out pages to send to friends, or write in it as a journal to record big ideas for future correspondence. No matter how you use it, you'll be connecting with the people you care about the most in ways that are surprising, fun, and heartfelt. Contributors include: Neil Gaiman, Jon J Muth, Ruth Ozeki, Wendy Mass, Gary Snyder, Norman Fischer, Natalie Goldberg, Jane Hirshfield, Claire Dederer, Albert Flynn DeSilver, Alison Luterman, Sam Hamill, Ava Dellaira, Lucille Lang Day, and J. Ruth Gendler. If you have any questions about this product by Roost Books, contact us by completing and submitting the form below. If you are looking for a specif part number, please include it with your message.